The word 'Cotswold' is made up of two Anglo-Saxon words - 'cote' meaning sheep, and 'wold' meaning hill. Historically, Cotswold due to its abundance of sheep was a major wool trade center. As a direct result of the richness brought in by the wool trade in the Middle Ages, grand edifices, mansions, 'wool churches' and beautiful stone building were made, all from the locally-quarried limestone, giving the entire area a personality of its own. This ancient charm and personality still remains and we first spotted and fell in love with it in Stow-on-the-Wold. 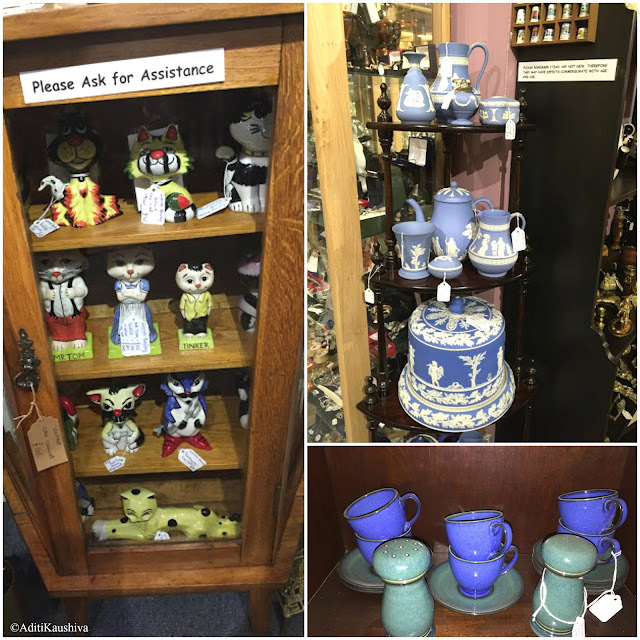 I was so excited to visit the antique shops and made my first purchase within minutes of entering the first shop, Durham House Antiques Centre - a beautiful green with gold lettering leather bound soft cover book by George Eliot - The Mill on the Floss. The next pretty boutique we entered, my eyes popped out as I spotted a 5 book set lying in a corner, of Enid Blyton's Famous Five. I immediately purchased it with a sheepish grin on my face. I couldn't stop beaming at this precious purchase of mine and satisfied I promised hubby that I wouldn't buy anything on the remaining of the trip. And yes, I kept my word. At the centre of Stow is the St. Edward's Church. Steeped in history, this church has a beautiful wooden door entrance flanked with yew trees on both the sides. What I loved here most was the churchyard, hauntingly serene. It houses memorial of brave soldiers who died fighting for their beliefs in 1646 during the Battle of Stow and also features memorials of those who serviced in both the world wars. 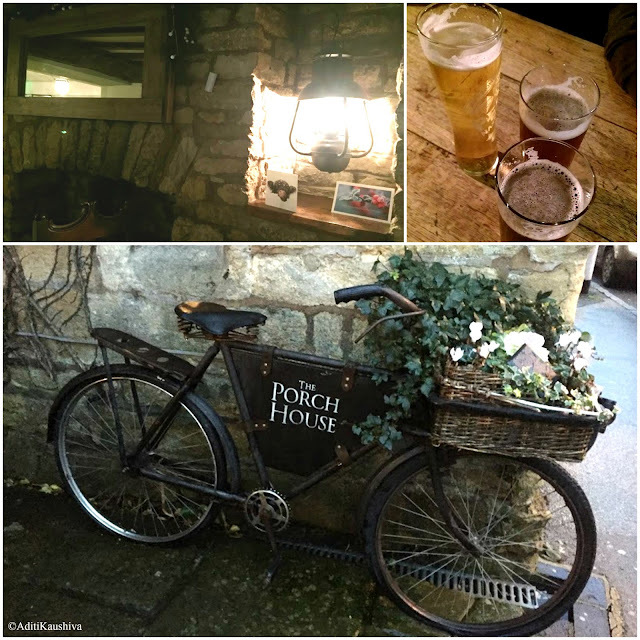 We ended our trip in Stow by clinking beer glasses at Britain's oldest inn, The Porch House that has stood tall in Stow since 947 AD. The interiors were gloriously old and inviting, and we put our feet up and soaked in the warmth for a while, before driving to Swindon where we were staying the next two nights. The next day we were greeted by the sun but he soon hid behind the clouds as we drove to Upper Slaughter. Lower and Upper Slaughter are two idyllic villages, a mile away from each other, next to the River Ey. Unfortunately, we couldn't spend much time here as we couldn't find a parking space. I left my guys standing by the car, while I took a quick stroll in the area. 10 minutes was it took to walk through Upper Slaughter, that's how tiny it is! The name 'Slaughter' seems unusual, right? There's a history here too! Well, it has nothing to do with killings of any sort. But there's an ongoing debate whether the name comes from the Anglo-Saxon word 'sclostr', which means 'slough' or 'muddy place', or whether the villages have been named 'Slaughter' based on the Slaughter family which owned the 'Lords of the Manor' or Manor House, a prestigious estate (now a hotel) in this area from about 1403 to 1750. Some also argue, that it was the family who borrowed the surname Slaughter from the villages, so who knows? Another interesting fact I came to know of these villages was that, Upper Slaughter is known as one of England’s 'thankful villages' as remarkably no one from the area had been killed in either the First or Second World Wars. Tip: If you love walking, park your car in Burton-on-the-Water and enjoy a leisurely half an hour walk to the Slaughter villages basking in the smells and sounds of the English countryside. A few minutes drive and we were in Burton-on-the-Water, often called the 'Little Venice' of the Cotswold. Burton is perhaps the most touristy of all the Cotswold villages, but also the most scenic with its elegant bridges and emerald landscape. We first had a wholesome English breakfast at Chestnut Tree and then strolled around the village discovering the Cotswolds Perfumery shop, the many antique and boutique shops, and the pretty landscapes. From Burton we went to Chipping Campden, my favourite of all the Cotswold villages visited so far. Your typical honey stoned Cotswold village, Chipping took my breath away with its pretty high street and beautiful St James church which dominates the landscape. Again this town was built on the riches earned from wool trade and was one of the finest medieval wool towns famous for its Market Hall. We had a quick refreshing drink at Lygon Arms and then took a leisurely stroll in the village completing it with high tea at Badgers Hall Tea Room. 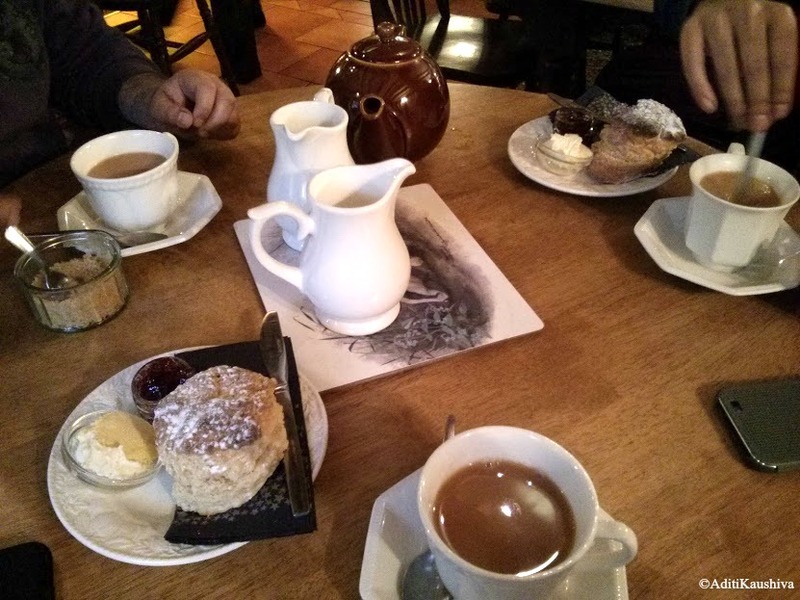 We couldn't have finished our Cotswold tour without the very English tea and scones. This was a perfect way to bit adieu to Cotswold. We drove back to Swindon and called it an early night and were back in London the following day travelling via Oxford. A huge shout to our friend Sourjyo, this trip was all the more fun because of you! Love and hugs! P.S. Linking to Jen's Photo Friday. Congratulations on the 1 year Anniversary of the Photo Friday link-up! Woop Woop! The Cotswolds have been on my 'wannavisit' list for a few years but this year is the 950th anniversary of the 1066 Battle of Hastings so we will be visiting Sussex...thank you for sharing your photo's....just makes me want to plan another visit. Thanks so much Vinitha. It must have been lovely staying right in the midst of countryside charm. :) Will visit that area someday. 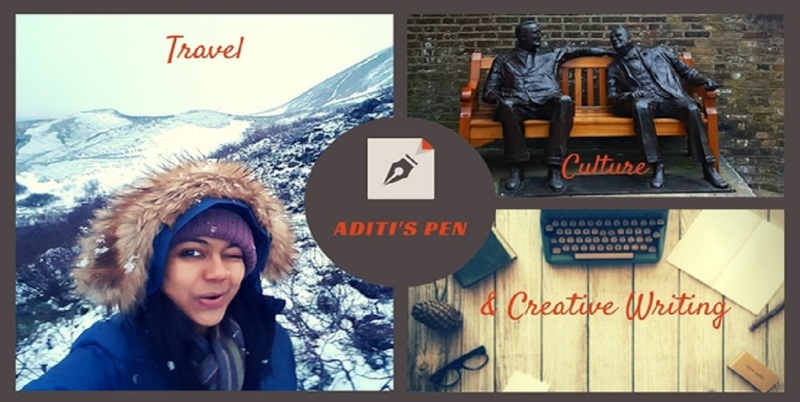 I am enjoying all your HK travels too, keep writing! Ah! The New World is beautiful in its own way and there is mo much diversity, so much to explore, no? Wow it looks and sounds amazing. I watch escape to the country and with my dad being from England I really want to visit some day when we can afford it. 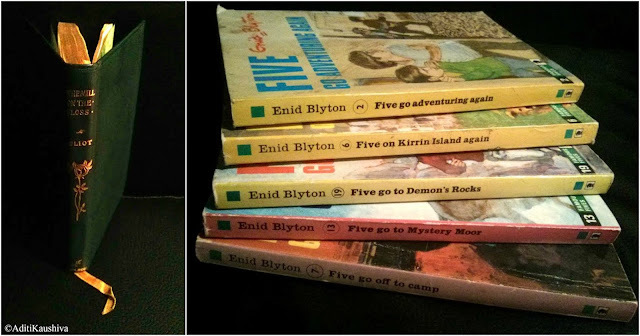 I loved the Famous Five when I was a child how great that you found such a special find. Tea rooms look inviting too! Ahh...what a treat that was! The pictures and the descriptions brought alive the whole charm of the English countryside. I am so glad you are making the most of your holidays, exploring and adventuring much like the Famous five! Tea and buttered scones....did they taste as good as I think they do? Oh yes, tea and scones were divine. The English tea rooms sure have a unique charm of their own. This looks like such a nice place. I really like those purple flowers in the first photo. Thanks Stephanie, glad you liked it! Beautiful place, I love it. I'm glad you enjoyed it as I believe it's one of the most beautiful, quintessential places in England. Wonderful pictures. We did have a wonderful time. Thank you Shanaya! What a beautiful place! You've captured a nice mix of snapshots and great photos - I always find it hard to maintain that balance. BTW - you won the drawing for the Photo Friday 1st anniversary giveaway! I've sent you an email. Thank you so much Jen! That's such a pleasant surprise. Thank you for building a wonderful community through #PhotoFriday, happy to be a part of it. A magical place indeed! Am intrigued about Wool Churches. And history of Slaughter villages is interesting. Great pics as usual. 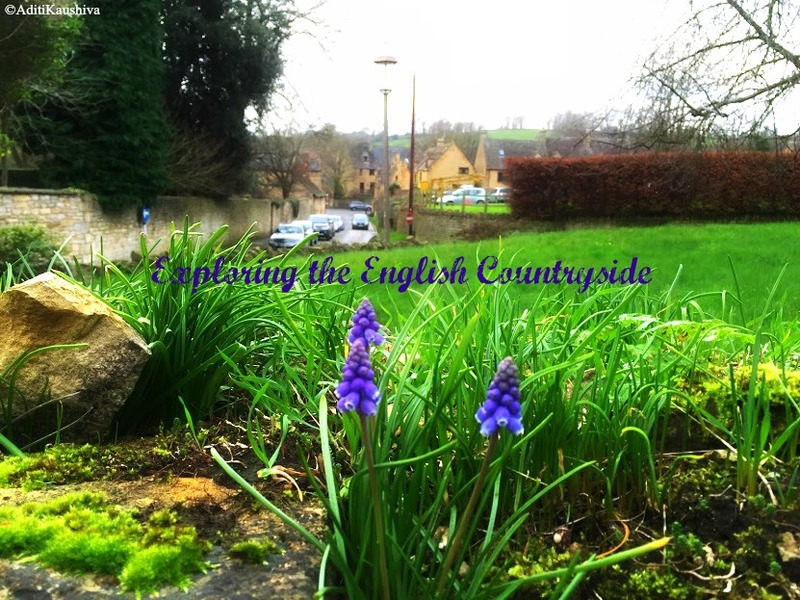 Thanks for a great virtual tour of the English Countryside! wowo! the pics are so beautiful. there is something in British architecture that gives a very colonial, very classy appeal. I would love to visit this place! We've just returned from the Cotswolds having seen many of these sights. Thanks for refreshing my memory. I would love to go back and spend more time. We stayed at Lords of the Manor, so it was an experience I'll never forget. Best wishes to you for more great travel!